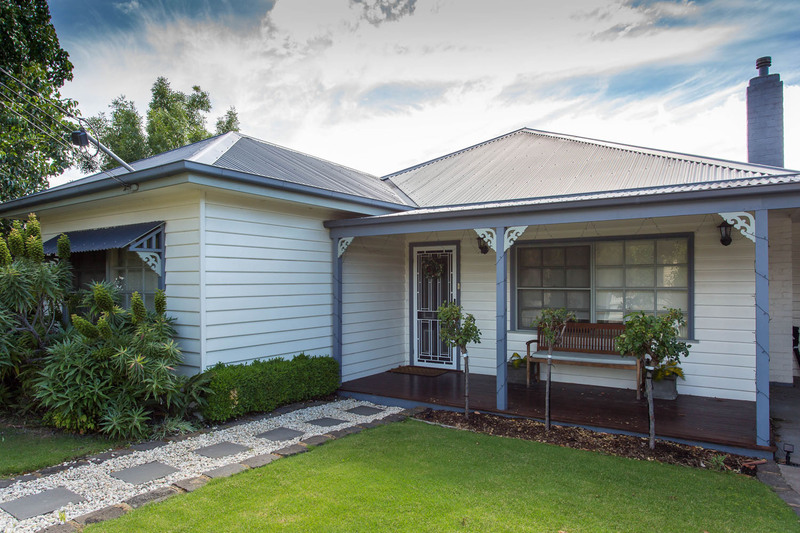 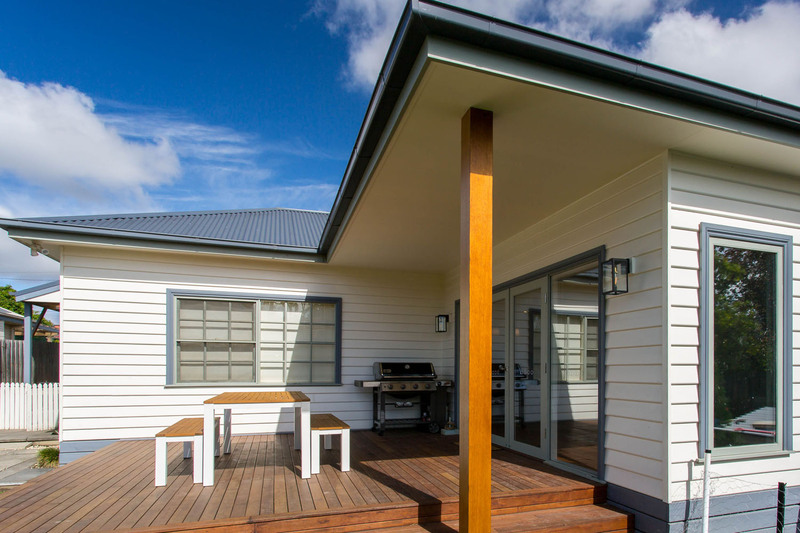 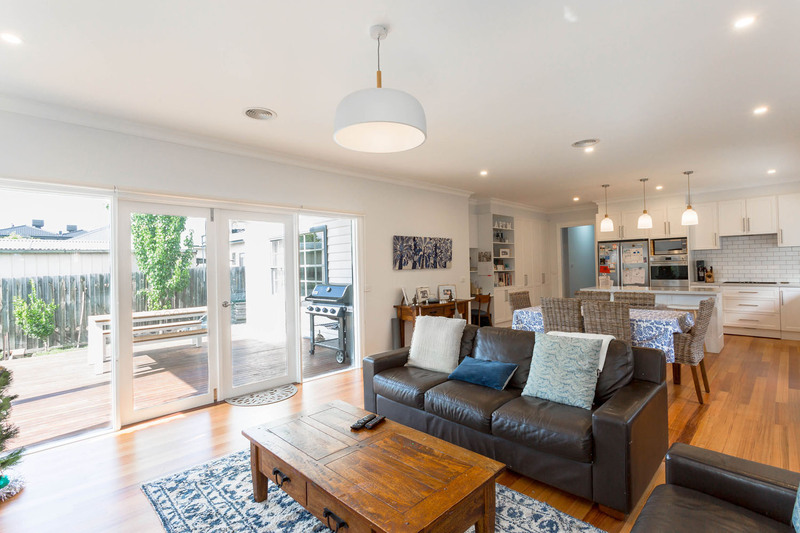 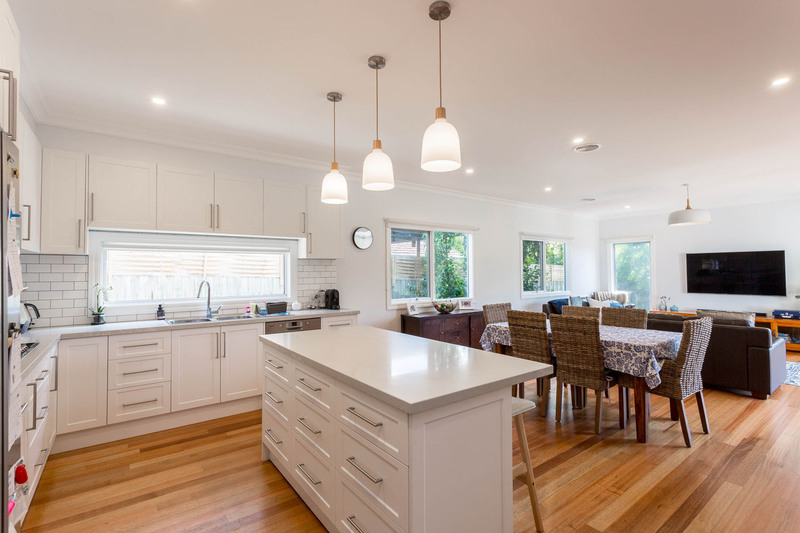 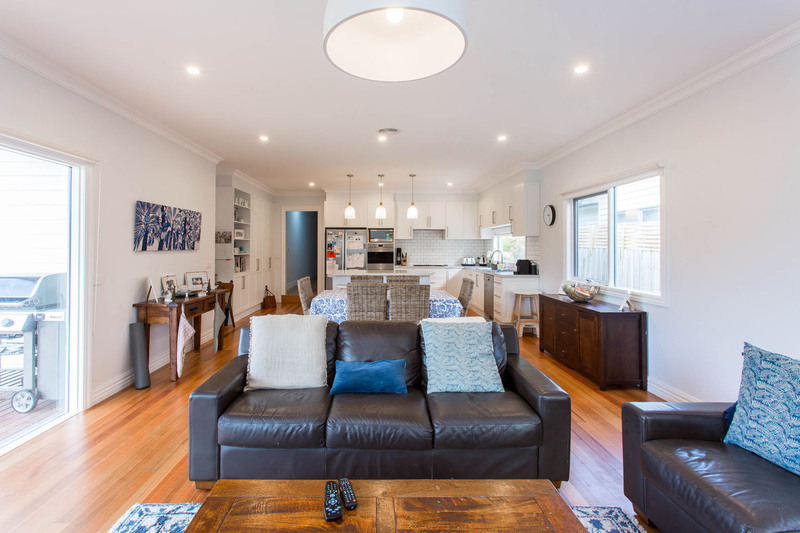 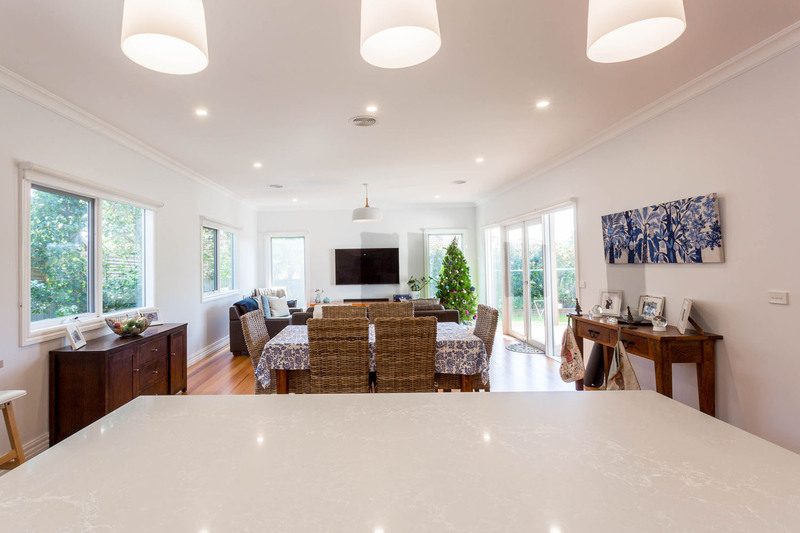 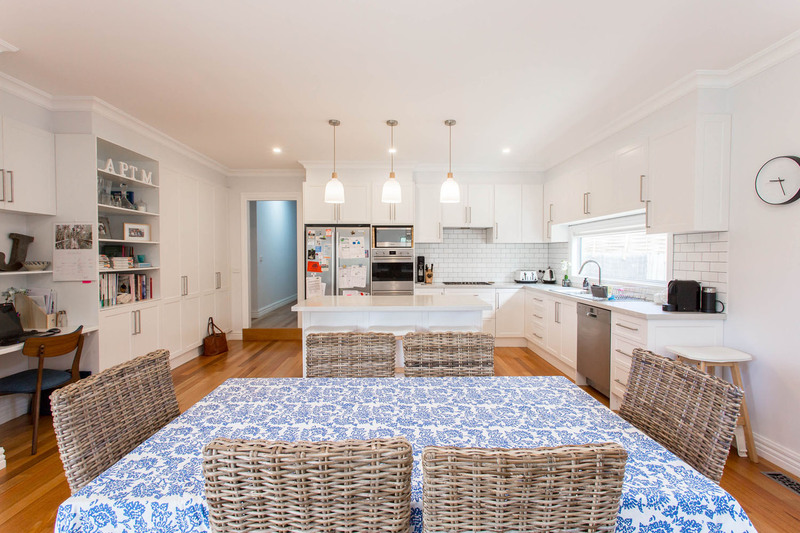 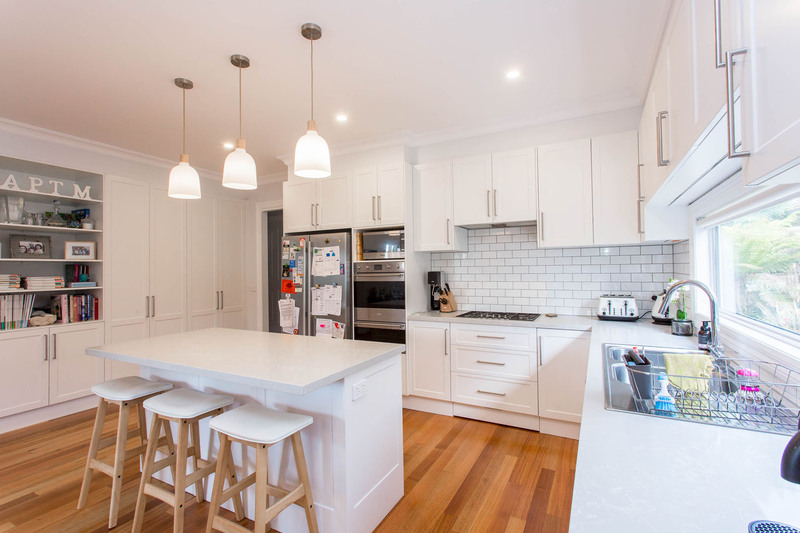 Our clients required us to create a family friendly home with more space and comfort for living and areas which connected with the outdoor zone. 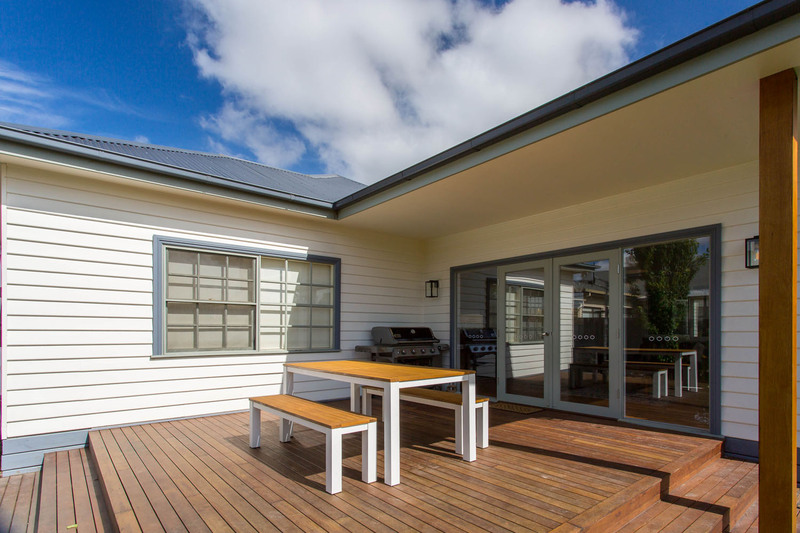 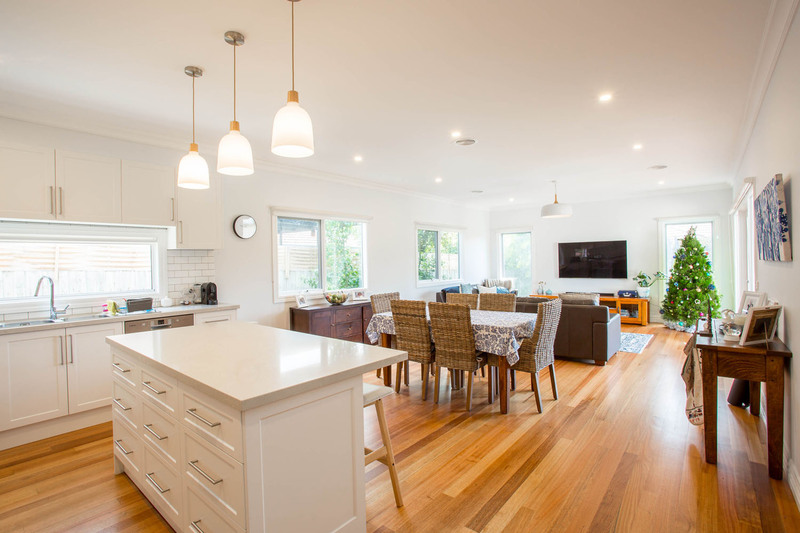 We created a new kitchen, family area which flowed out to a new deck. 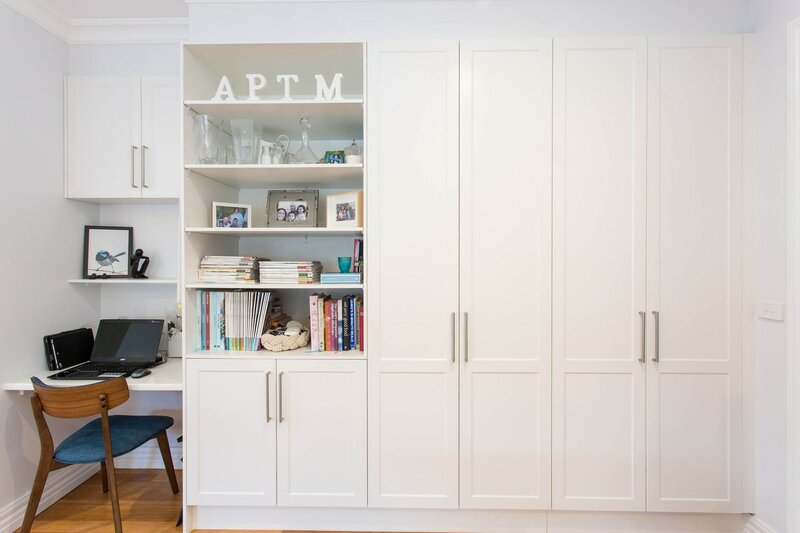 The design also incorporated a new powder room and laundry. 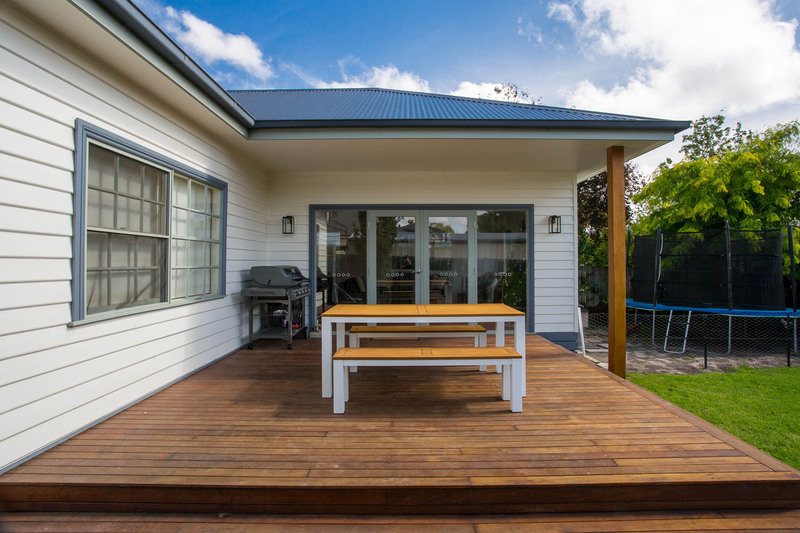 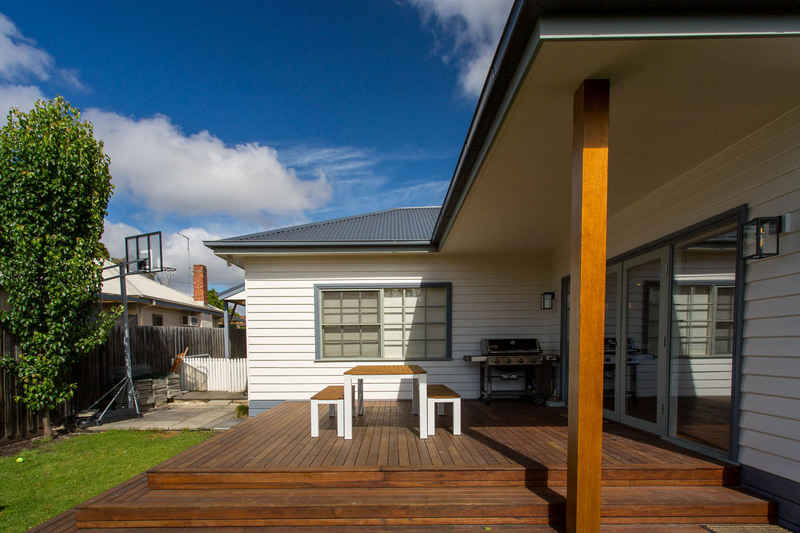 The finished project offered space light and better traffic flow in family areas, with seamless access to the outside deck area and garden.